Cameron's core theme seemed to be centred on the need to support the Labour Government when we agreed rather than oppose for opposition's sake, although this was met with a muted response in the Hall, although his attacks on Labour, and most of those attacks were on Tony Blair, got the expected applause. Overall, Cameron performed as well as expected. The speech was delivered in the impeccable style we have come to expect from him since his Blackpool performance. Although the audience received him with polite applause, you got the impression that the room was not really with him on the issue of supporting Blair. David Davis opened up with a - wait for it - a NEW joke. Highlighting the location of the debate, he asked the audience not to confuse him with the Welsh Assembly Member, recently turned Member of Parliament for Monmouth and near-namesake, David Davies. Davis' speech was delivered rather stiffly from behind the lectern with his hands clasped firmly on the podium, his body not moving except for the occasional turn of the head and jabbing of the air to emphasise his point. His speech was far more populist than Cameron's, receiving more applause from the audience, especially for his praise of Michael Howard's leadership, for his traditionalist calls for lower taxes, for the EU to be more like a Common Market and not a superstate and for his particularly savage attacks on Labour, more so targeted against Gordon Brown than against Blair which contrasted from Cameron. While Davis pushed more buttons than Cameron and got the more rounds of applause, his speech was poorly delivered. Now we all know that Davis is not the best orator on our frontbench and the lower expectations should play to his advantage. However, there were simply far too many stutters, stumbles and going wildly off tangent when he departed from his tried and tested script to overlook this obvious failing of Davis - and I say this as a Davis supporter myself. I found myself agreeing with the substance of Davis' speech more than Cameron however the gulf in presentation was quite wide on the night. Cameron's words and body language radiated confidence whereas in comparison, Davis, while seeming more sure of the content of the speech was obviously more conscious of the delivery and I think the audience could sense this too as the mere seconds that elapsed when Davis stuttered his words or restarted sentences for a second time seemed to happen in slow motion and the whispered mutterings in the Hall that followed each stutter spoke volumes. The questions, about 15 in all, only highlighted how little the two candidates differed. The candidate who responded second to each question was, more often than not, reduced to saying how much he agreed with the first responder. The main difference that could be discerned was the obvious disagreement on how to deal with a mortally wounded Prime Minister Blair. Davis again pushed the buttons by using quite aggressive language about finishing off Blair, hastening his departure through relentless opposition. You could almost imagine when Davis was jabbing his finger that he was visualising bayoneting a bedraggled Tony Blair using all the skills be picked up in the SAS. Cameron was more reserved, saying the public were fed up of 'Punch and Judy' politics and reiterated his pledge to support the Prime Minister where there was agreement, omitting to mention that the main benefits of such an approach would be to make Blair seem even more isolated and impotent within the Parliamentary Labour Party. Had Cameron used his line he might have got a better reaction in the Hall, as it happened Davis got the louder applause for that question. Likewise on the two issues of the new Licensing Act and Drugs, Cameron took the softer more liberal line on the two issues, welcoming the reform of the licensing laws and stressing rehabilitation for drug users whereas Davis resoundingly declared his opposition to the licensing reform, saying that there should be no reforms until the authorities learn how to use their existing powers first before getting more powers and then on drugs he again took a much stronger and robust stance against drug abuse than his opponent and this went down well with the audience. As the debate was in Wales, a question on devolution threw up a subtle difference in attitudes between to two men. Davis staked a claim to being the architect of the 'preferendum' policy of the Conservative Party, that the people of Wales should be trusted to revisit the 1997 devolution referendum and be given the three choices of either abolishing the Welsh Assembly, the status quo or a Parliament for Wales akin to Scotland. Davis was highly critical of the closeness of the 1997 referendum (50.3% in favour of a Welsh Assembly on a 50.1% turnout) whereas Cameron was more inclined not to offer the abolishment option. Both contenders accepted that the decision should be made in Wales and not in Westminster. The closest the event got to being personal, in an otherwise totally civil encounter, was a question from a young Councillor from Burry Port, Stephen James, who asked how the respective candidates would attract more younger members to the Party. Cameron responded first with the opening line that 'electing a 39 year old as leader would be an obvious start'. This got a good laugh and a loud round of applause although it seemed, at least to me, to be a rather nasty jab at the older contender from someone who has in the past damned his own Party for being too nasty. The only other disagreement I could find was through another joke that both candidates admitted that they had used many, many times previous. When asked how both candidates would tackle the Liberal Democrats, Davis answering first, admitted to stealing the joke off Cameron and said that he was minded of Cameron's punch line to the joke, 'If you had a Labour MP and a Liberal Democrat MP on the edge of a cliff, which one would you throw off first?' Davis said that Cameron chose the Labour MP - 'business before pleasure' - but Davis said that to him business was a pleasure and would throw both of them off. So ended the hustings. A no-score draw really as neither candidate got the better of the other. David Davis' message went down better with the audience although his delivery in terms of body language while speaking (gripping the lectern tightly right up until the closing statement when he decided to take a walk around the stage) and while listening (seemed bored, kept looking at his watch all the time). Davis' poor delivery undermined a solid, competent performance. Cameron, who got less ringing applauses from the crowded room nevertheless delivered his message in a far more eloquent, professional and competent manner. I think supporters of each men would have been enthused by their man's performance, I don't think this hustings will have changed many people's minds when casting their vote. Sounds like John saw virtually the same routine we got last week in Frimley. I think it was Ken Dodd who complained about how much more new material you needed once TV arrived- in the old touring variety shows you could use the same stuff for years. The winner's going to need a much bigger script writing team. Consistently it seems from these reports that we have Cameron speaking beyond the Party to the Country as a whole, while Davis is addressing the Party electorate. This may be the confidence of the frontrunner, calculating that the Party electorate are bright and broad minded enough to understand what he is doing. That they will support him because they see that he will have a wider appeal, rather than pandering just to our own prejudices. Opinion polls seem to vindicate Cameron's strategy. I hope so. James Hellyer later today, eh? 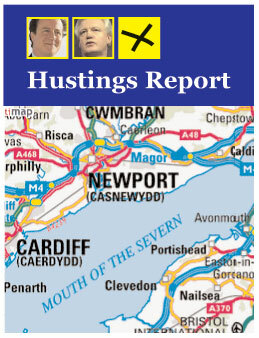 At last we'll have completely unbiased hustings report. Go for it James; There must be at least fifty members who haven't voted yet. I agree with BW. It seems to me that David Cameron as basically been talking like a Prime Minister in waiting where David Davis as been taliking like an opposition minister. Like above I hope that Cameron is successful. What is a worry is if opinion polls are wrong and David Davis does pull off a surprise. Can you imagine the field day Blair and Brown would have if the paty elects itself a leader who only as the support of about a third of the parliamentary party. It would be a complete and total disaster for the party. Either that, or Cameron doesn't know how to tailor his message to suit the electorate he is aiming at. I hope all this fluffy bunnies, motherhood and apple pie guff pays off in the opinion polls in 12 months time for you Cameroonies. It puzzles me why Cameron made himself a candidate in this leadership election. He scarcely needed to put down a marker, since his ability and intelligence are well known. He could, modestly, have pleaded lack of parliamentary experience. If he now had the bad luck to become leader, he would lose the general election and the party would dismiss him. His career would end at age 42. More likely, he will not receive many votes from MPs, which carries the risk that this contest, far from enhancing his reputation, may diminish him. Osborne has played his cards better. So Jack you support getting rid of the members vote? I'm sure Michael Howard will be sending a thank you e-mail for saying that one. Andrew - I hope it pays of for all Conservatives. Cameron clearly does know how to talk to an audience - which is why he's done so well with MPs, papers and the party-at-large. Portillo's mind has been on other things lately. Northern Ireland affairs etc..
"James Hellyer later today, eh? 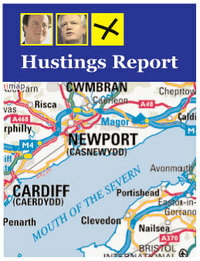 At last we'll have completely unbiased hustings report. Go for it James; There must be at least fifty members who haven't voted yet." I am one of the 50 (rather more in reality I think). James's report will hopefully be very biased and provoke a torrent of postings! I don't think Blair and Brown care one iota. After 22 years in Parliament they know the game and with the government machine they will deal with Cameron easily, they had no trouble with Michael Howard today; and he is more confrontational than Cameron - frankly I don't see Cameron stepping up to the plate to play hardball. I'm another undecided. Perhaps we should compare notes. When are you chaps going to make up your minds?It's getting very late now and I think it highly unlikely that anything new will be debated in the last few days.Decision time gentleman! I haven't made my mind up yet either - although I am fairly certain I know who I will vote for. Am I alone in thinking that the second half of the leadership contest has been a little disappointing? Cameron has taken his foot off the accelerator and (assuming he wins) now rather needs the fresh momentum that victory will give him. Like Davis did earlier in the summer, his response to being front-runner has been to adopt a risk-averse cautious strategy. This has done him no favours. Davis has done better than I expected him to, but he hasn't done enough to force Cameron to raise his game, in the way that Liam Fox (out, but not forgotten) would have done. Simon C, I agree that the past 2-3 weeks of hustings have added little new and the candidates seem to have retreated to well-rehearsed positions. While we are looking to select a future PM, we have to select a current Leader of the Opposition. I may have missed it, but I haven't heard either of them react to the Pension commission proposals today. Yes, M Howard had the prime slot at PMQs but I'd like to hear from both the candidates who would like to be facing TB at PMQ next week what they think of the proposals. Part of leadership is reacting to the news agenda (not climbing on bandwagons I would hasten to add)and I feel that, for whatecer reasons neither candidate has performed well in this area over the past 2-3 weeks. Perhaps the campaign was just too long. They must both be cream-crackered by now! I agree with you about pensions Adrian,at the hustings I attended (London) the answers from both candidates about what to do about pensions were very weak in my opinion.It was a shame that were no opportunities for the audience to ask follow up questions! So when are you (and Selsdon &Simon C )going to choose? You really don't need to set out the schedule of the hustings. Of course they have been hard at it going about the country. That's not really the point though. Although I haven't been to any of the hustings, and so can't tell directly, there does seem to have been a certain amount of repetition from one hustings to the next - same speeches - same jokes etc. They have had time to do other things - and whilst they have both delivered speeches, neither of them have done or said much that really fires the imagination. As a Fox supporter, I am particularly disapppointed that neither candidate took the opportunity to adopt, or even respond to, the thinking Liam set out - particularly with regard to a Human Rights based foreign policy, and the Broken Society. Both candidates have given speeches to the CSJ, I know, but neither speech did much to drive this agenda forward. I agree with you about Pensions, Adrian. Neither candidate needed to wait until today. This is a huge issue, hardly a new one, and we need some rigorous thinking. We cannot detatch pension provision from other long-term issues. How are we going to fund the cost of long-term care (health and social care)? Will we need to review our imigration policy, to try and swell the numbers of people of employable age? When will we have the courage to declare that the deal enabling public sector workers to retire at 60 is comepltely unsustainable? Malcolm - as I said I have pretty much made up my mind. The vote will be in the post tomorrow. Apparently the reply paid envelopes can take up to 5 days to be delivered so I suggest anyone who hasn't voted does so today otherwise their vote is unlikely to be recieved in time. I apologise for the harm I did by setting out the schedule. Simon C, I share your concern about the lack of Fox's issues being addressed, but his influence in the next shadow cabinet should address it. You didn't do any harm at all Mark. I believe that members should have a voice in who is elected leader but I think the present system not only is asking for trouble it also doesn`t really give them as much power as other systems could. Under the present system I suspect many members will vote for the candiadate the MP`s prefer because they understand the damage it could do the party if we had a leader who hasn`t got the majority of the parliamentary party with them. On the other hand if the vote went to the members first and they choose the two candiadates they want the MP`s to vote for this would actually put the MP`s under pressure to agree with the members choice so as not to split the party thus giving members that much more power. That is why I think the way we elect the leader should once again be reviewed as I believe the present system is neither that democratic or in the interests of the party. With Major, Hague, IDS and Howard all infering or openly supporting Cameron along with every declared national newspaper and over 60% of MPs, it looks likely he will win next Tuesday. If he doesn't we're going to look either very bold or very very silly. I hope he gets a big mandate so that we can launch a united ship.